Add the Cabo, lime juice, tripple sec, and a handful of ice to a shaker and shake it up. Strain into a salt rimmed martini glass and add a splash of blue caracua and garnish with a lime twist. If this looks familiar, it's becasue it's a Kamakazi recipe with tequila instead of vodka and a different garnish. I'd advise not trying this with the $15 or cheaper tequilas as it's way to harsh and reminds me of what I always imagined battery acid tasting like. Go with the Cabo and it's as smooth as silk with a slight sweetness from the tripple sec without being a slushie like most of the frozen tequila mixes. can't wait to try this. I love extra tart kamikazis and love tequila even more. Think I'll sub cointreaux or grand marnier for triple sec. Let me know how that works Jim. I loved Kamakazi's but of course drinking them when you are no longer in college is kinda like being the creepy old guy on facebook. You can get away with it, but jeeze people give you wierd looks. Waboritas are smoother but similar. More kick too! And it has a cool blue color with my recipe so it helps weed out Star Trek geeks in the area cause they come over and ask if your drinking Romulan Ale. Four Locos gone. BFD. Drop a shot of Cabo Blanco into four onces of red bull and you wont get wings. You'll get a jet engine! Good rita recipe! Cabo Wabo is GREAT tequilla! Some Triple Secs are better than others - have had great luck using the above 2 instead of Triple Sec. Frozen concentrate - next best. Bottled lime juice - nuh-uh. On tequilas - 100% Agave only way to go. Why? The others use grain alcohol, which can be nasty stuff, depending on the source, and is the cause of monster hangovers due to impurities and such. Most all of the 100% agave tequilas I have tried have been good - some better than others. I like the blancos, the anjejos, and the reposados for mixing. For sipping or shots I like the Silvers or Platinums or the other super premiums. 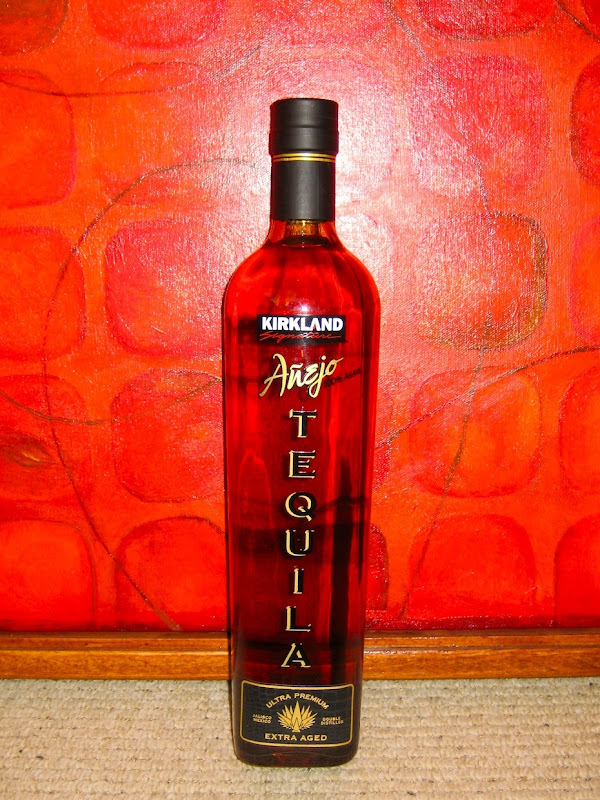 Years ago just drank Cuervo Gold & never knew about the better stuff. Got spoiled on a trip to Mexico on GOOD tequilas & never went back. There is a brand we also use for mixers - Milagro - that is a good lower priced 100% tequila. Several varieties of Milagro & all have been ok. If you f$#@ers dont know what to do next, yall hopeless muthaf$#@ahs. We did start topping off ritas with beer per the great ones suggestion, very good ideer. Best way to do tequila shots. Saw beer topped ritas at some bar (Outback maybe?) a few years back & tried it & it works great when you want to stretch it or when the gals make those faces & run about looking for water after a too strong rita. Hmmmm have not tried the Cosco stuff. Looking at the bottle & saying hmmmmm... looks like Milagro prolly. Will give it a shot, or it will give me a shot. Jimmy, Jack, Johnny and Jose...in a row, last to puke wins the pot. Favorite martini we have here in Dago at 1/2 time during football season.